Wellness programs cost about $6 billion a year. And guess what? According to a Kaiser study, they don’t work. Let me re-phrase that, they work for organizations to lower cost; they don’t work for the average employee. Healthcare cost does not respond to the stick/carrot method, at least in the long run. There are several dynamics at work here. 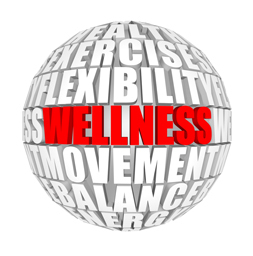 First of all, wellness programs require lots of testing to ensure compliance. Testing costs dollars. Secondly, there is an element of big brother telling you what you can eat or drink and how much you can weigh or what you should and shouldn’t do. Americans typically do not respond well to that.. The goal of wellness programs is to keep people healthy through smart lifestyle choices. They get paid for making the smart choices; they get penalized for making the wrong choices. Many, many large corporations embrace these programs. SAS, a software company offers wellness programs to their employees. The wellness program includes health checks, smoking cessation and rewards for fitness accomplishments, participation in leisure time activities and completion of the six-month Your Way to Wellness program. The on-site health care safety center provides primary health care and preventive services to employees and covered dependents. Hamilton Utilities Corporation focuses its workplace wellness program on creating a healthy workplace. The corporation program encourages employees to take charge of their physical and mental health while requiring management to take a holistic approach to worker health that includes workplace safety. University of Alaska employees may complete a personal wellness profile to identify health concerns and guide their participation in on-site health and wellness activities. The UA Health in Action program, in partnership with Wellness Initiatives Network for Alaska, also serves as a portal for university employees to health and wellness activities. Employees may participate in health screenings, fitness events, health seminars, health coaching, wellness breaks and online health tracking. The university provides incentives for participation in some programs. These are but some examples of how companies and even universities strive to incorporate wellness into their employee routines. But the reality is, it only really works in the short run. Wellness programs ask participants to make critical life choices that are sustainable and participants that initially embrace the concepts, cannot carry it through to completion. Too many times, life gets in the way. Time commitments to jobs and family, and just losing interest both play a role in the overall non-success of these programs. They look good on paper and in theory, will help to sustain wellness. But what they end up doing is reducing cost for companies by cost shifting to employees.